After working at Microsoft for four years, Taner Akçok founded his own company in Silicon Valley in 2013. Taner Akçok made it to Forbes "30 Under 30 Europe" 2019 list, which features innovators and young disruptors under 30. The young man is known as one of the figures in the world who is involved in the trio field of "banking-finance-technology," one of the most difficult fields of business life. He was chosen as Turkey's champion in 2009 for a Microsoft competition when he was just 18. After working at Microsoft for four years, he established his own company in Silicon Valley in 2013. In the meantime, he also received an education in innovation management at Stanford University. The company App Analytics that he established in 2015 was chosen by Business Insider as the second fastest-growing B2B (business to business) initiative in the world. Akçok, who sold this initiative in 2016, was slowly being seen as the success story of App Analytics in terms of business and academy. 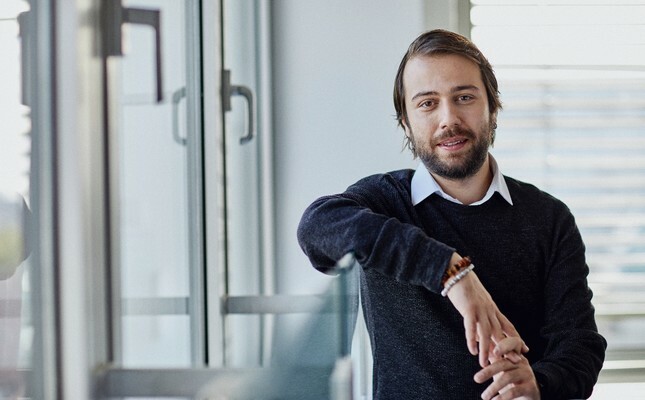 Akçok now works at FinReachGmbH in Berlin as a managing partner since last year, this also allowed him to enter the field that got him onto the Forbes list. FinReach, which can be described as the "Amazon" of the finance sector, is an open banking and financial big data company that serves more than 700 banks with it solutions in open banking, financial big data processing, analysis, segmentation and artificial intelligence (AI) and monopolizes 65 percent of the German market in this sector. We spoke with Akçok about his story and how he came to purchase FinReach's FIGO, which was reported as the biggest open banking company in Europe last week. He said that he attained success by applying the principle of "having the proper data to make decisions," also known as a leap of faith. "We, FinReach, have reached an eight-digit income in euros and a company valuation of nearly 100 million euros ($113 million) in the present in our company journey, which we began with a valuation of about a million euros. Behind this huge growth is using proper data in the decision-making mechanism. There are some models that we follow in order to include these data to commercial opportunity discovery and daily decision-making mechanism. The model that I use is a model that I learned from Marvin L. Patterson, one of the founders of HP, at Stanford University in 2014, when I was in the U.S. HP expanded 100 percent every three years with this model. This is the model that Steve Jobs applied together with my instructor at his second coming to Apple. We adapted this to product management together with Patterson. After seeing its success in product management, Patterson started to include me in his teaching to the students at Stanford University and the University of Wisconsin as a success story and case study after Apple and HP. At the same time, he also mentioned my successful application of the model in product management in the journal of HP founders on the internet." Highlighting that FinReach's buying FIGO was a great success, he summarized the purchasing period: "It is expected that many new rivalry fields in various submarkets, especially open banking technologies, regulation technologies, new payment systems, collective investment tools and cryptocurrency technologies will occur and new actors will appear. When we look at the innovative banks, they aim to increase their market share in both Turkey and the world. Therefore, they make serious, innovative investments in terms of developing products and differentiating the present products. When we look at financial technology companies, they started to spread in many different fields by taking advantage of the war between the traditional and innovative banks. We can provide different services and solutions that will satisfy the initial needs of them in three main segments with the purchase of FIGO. We have been working closely with FIGO in the last three years and are integrated with it on the platform side. With this union, we can serve as the first party in a large range from raw financial data acquisition to banking technologies." Akçok stressed that AI creates miracles when it comes together with data science and explained how they use this technology in open banking and financial technology (fintech). "Data science and AI play a serious role, especially in making meaningful data, creating customer segments, the discovery of new customer and product segments. For example, one of the biggest problems in banking experiences is that car or house loan can be discovered after the first transaction is done and a counteroffer can be made. However, it is too late for the bank in the meantime. Thanks to the AI applications that are developed on holistic customer data, we discover when an individual decides to buy a car or house. We present a substructure to make the most proper offers according to their credibility and risk. Besides, AI applications can give recommendations about how untouched customer segments are discovered and what kind of product is developed in line with their common features. In the side of data activation, AI applications can again predict in some subjects like the right customer, right time and right channel. On the FinReach side, we provide added value to the products we offer to our customers through the cycle I just described. This added value, which we add on the big data circulating in the market, especially through open banking, can carry a product of a few thousand euros at the price of a license of half a million or 1 million per year."